Cities in the developing world have experienced exponential growth since the 1940s due to a massive rural-to-urban migration (Karpat, 1976). This growth has resulted in a proliferation of informal settlements as the main driver of residential urbanization in these cities for the past few decades (De Soto, 2002). It is in this context, that the architecture of the self-built houses of the informal settlements has managed to create architectural typologies strongly influenced by individuality, local backgrounds, and cultural traditions (Matos Mar, 1984). 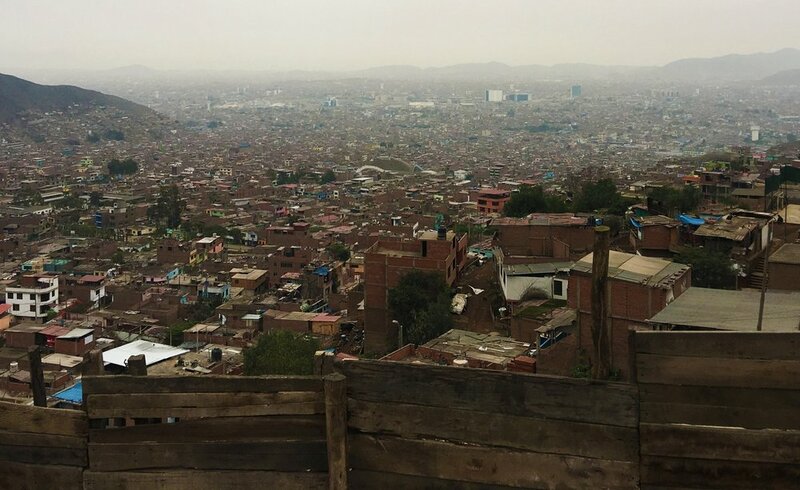 The study and analysis of the self-built housing typology of the informal settlements (or the architecture of the urban non-architects) could bring new spatial configurations to our profession beyond its traditional reach. When we investigate the spatial distribution of informal houses, we see patterns of communal living conceived with the principle ideas of flexibility and temporality. As the urban migrant family grows, so do their buildings; as their children grow older and start a new family of their own, parents tend to add vertical space that will later become its own independent housing units (Riofrio, Driant, 1987). This flexibility works just as well with relatives who arrive from their respective provinces in subsequent urban migrations, and who tend to stay with settled relatives in these cities. Though these buildings grow, they are softly constrained by local zoning ordinances. Such regulations however, should allow for a commercial use of the ground floor at a later stage. Therefore, buildings can become a consolidated unit of communal-living and income generation that grows with an inherent spatial flexibility considered from the very beginning. Ground floors especially, must be conceived with as much spatial distribution flexibility as the structure would allow it. A brief argument can thus be made for a concentrated analysis into the configurations of informally self-built housing settlements, which can and should be conducted to better understand the characteristics of the novel types of spatial distribution used. In fact, I would advocate that architects from the developing world who are serious about potential future designs for urban inhabitants have a real obligation to study the typologies of self-built housing in these informal settlements. My criticism of the field is that it has traditionally thought of these settlements as residing outside the spectrum of what the profession considers formal architecture. But by doing so, we as architects are missing out on the opportunity of exploring spatial configurations, designs and ornaments that we might not have considered before, but which touch on all the primary factors we seek to address with our designs. If we were to address this ongoing process, we would be better equipped to respond to the actual architectural needs of the new urban user, perhaps adding value to our own craft. An opportunity is thus being presented to design for a local identity, instead of endlessly following the trends of the vanguard-architecture styles of generic cities. This new approach, if successful, could be applied to other developing world contexts, in sum creating a richer & crafted local architectural style that stems from the mixture of diverse cultures endemic to our own national realities.